In a crisis, immediate physical needs are easy to see. But it’s also important to address emotional and mental needs. It’s not unusual to feel anxious or distressed in the face of a crisis, emergency or disaster. The effect of such an event will be felt differently by every person. Your response, whatever it may be, is normal. What might your reaction be? How do you usually keep calm? As a household, do you have a plan for you and your loved ones? Taking time to consider what your response may be, as well as making a plan with your whānau, may help you cope in the initial stages of a crisis. During a crisis, you and your whānau will be dealing with many new, unknown experiences. Almost everyone affected by a disaster will experience stress at some point. These reactions are ordinary responses to an extraordinary situation. You can also help your children prepare and respond to an emergency. Take time to talk about how it is normal for them to feel frightened, but that it’s important to try to stay calm. Work with them to plan where to meet, discuss their school’s emergency operating procedures and how they can access support. It’s possible that your children will be upset. Recovery takes time, but there are many things we can do to support children through stressful events. Give them time to react and process, while being available to answer their questions. Listen to them to find out what they understand or think has happened about the situation and provide age appropriate information. Communicating your own reactions may also help to reassure and normalise your child’s response. Let them know that it is okay to be scared and upset, but that you will all work together to get through this. After an emergency, there may be many changes to your child’s expected routine. Encourage them to spend time with their friends and family doing fun things. Remind them that it’s important to keep talking about the way they are feeling. Psychosocial support can be provided by anyone, but it’s useful to train so that you can confidently assist those around you. 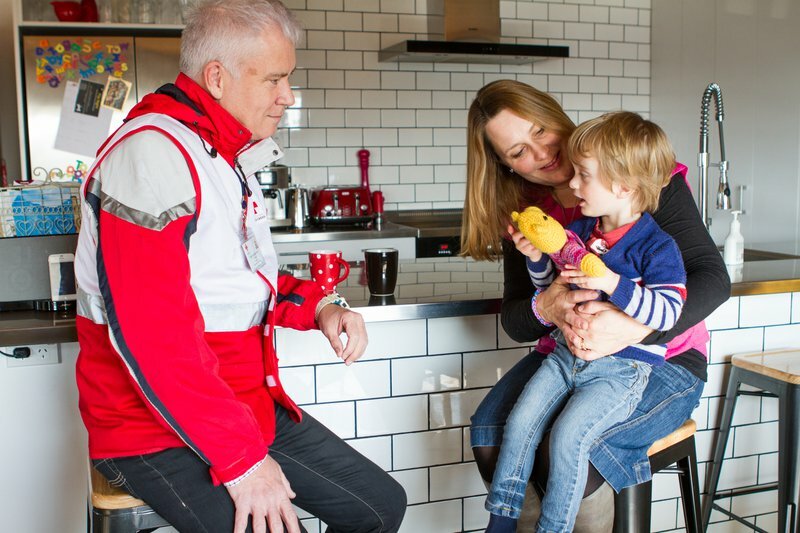 Psychological First Aid is a vital part of emergency response and recovery. You can gain skills and practical training in how to provide Psychological First Aid by attending one of our courses in your area.